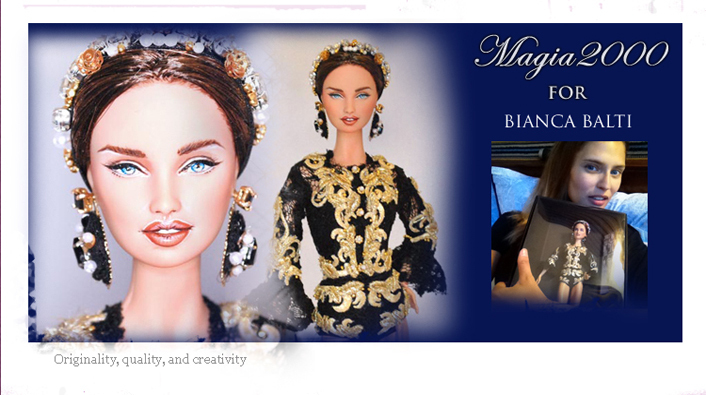 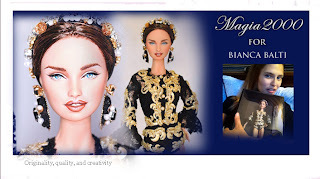 This doll is a tribute to the most famous Italian model, Bianca Balti, and donated to her as gift. 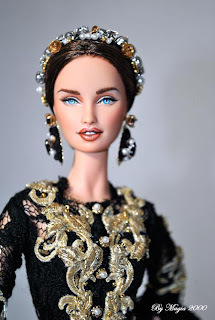 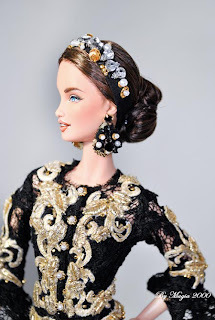 She wears a replica of the Dolce & Gabbana dress from the fashion runway Winter 2012. Fully handembroidered wirg different gold embelishment, gold beads, sequins and real Swarovski crystals. 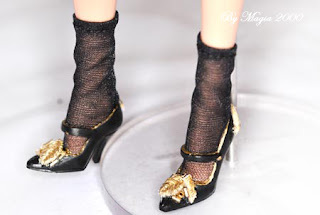 All accessories are handmade by Magia 2000, as for the shoes and the earrings with carefull in all details.